2019 Summer Term Payment Plans are back! Summer Term is again offering multiple payment plan options for 2019. Signing up early gives you the most payment options with up to 5 months to pay. Click here to sign up for a Summer Term payment plan now! Summer Term is a self-supporting program which empowers students to get ahead and graduate sooner. By offering additional opportunities to earn college credit students reap the benefits of attaining up to an additional eighteen credits for undergraduate students, and twelve credits for graduate students, ultimately fast-tracking their degree. 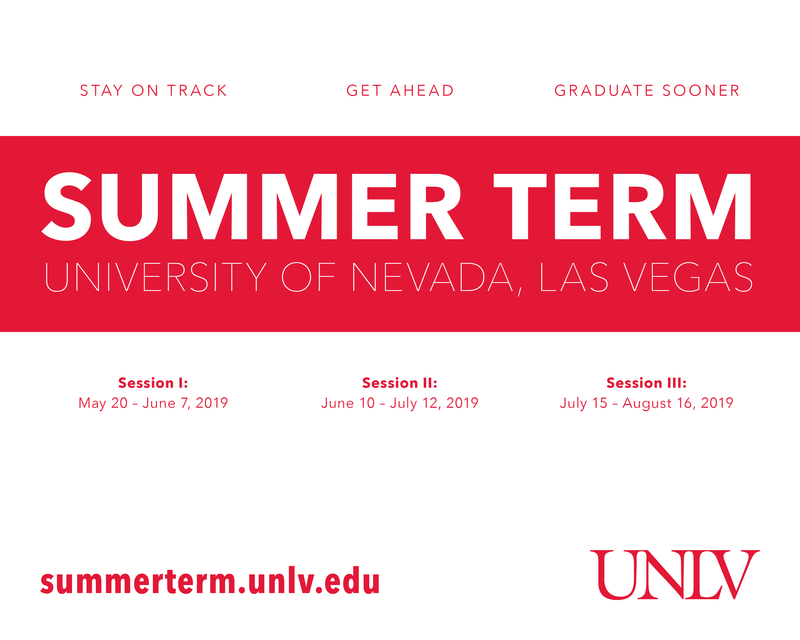 Click here to learn more about UNLV Summer Term.